The latest work from American born street artist Above has appeared on the streets of Shoreditch in East London. The new muti-layed life size stencil piece titled 'Timing Is Everything' has taken the artist nearly 7+ months of searching the streets at night for a fixed shadow that was positioned perfectly against a wall to work with the piece. 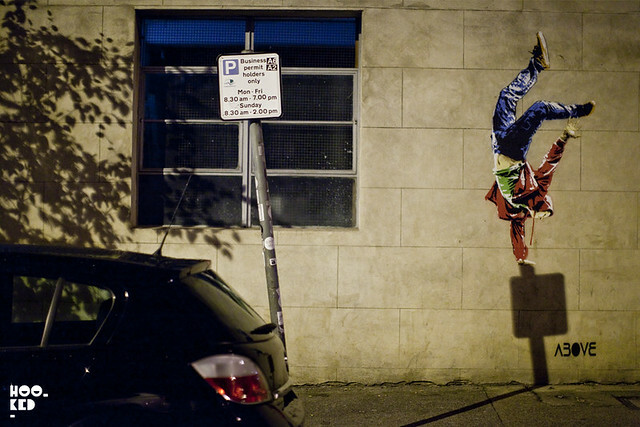 This break dancing figure comes to life at night when the sun goes down and the city street lights casts the shadow across the wall on which the dancer is balanced on. 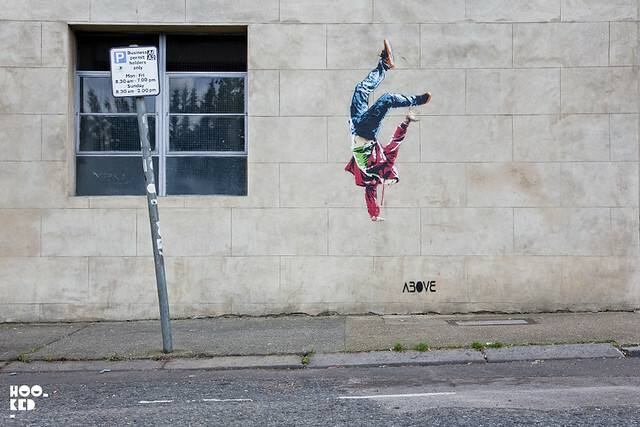 Above has made a short film featuring the new stencil work, check it below. Daytime shot of the piece without the shadow from the lamppost.